There are a bevy of local and low-alcohol New York State ciders that, for the quality relative to Champagne, are generally more affordable. 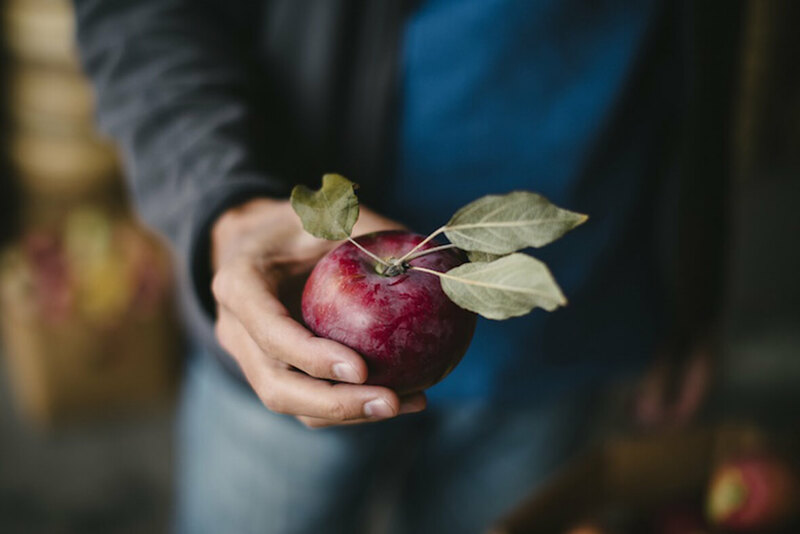 Most people think of cider in the fall when apples are dropping from trees, but there are plenty of reasons why we New Yorkers should think of it as a versatile, year-round beverage, especially around the New Year. Relative to Champagne, fine ciders are more affordable—around $18 to $25 a bottle—lower in alcohol and made by small, family-run orchards, unlike commercial Champagne brands that buy their fruit. What’s more, several excellent sparkling ciders sold in 750-ml wine bottles produce their bubbles via the traditional, or Champagne, method. What does following this method look like when using apples instead of grapes? After fermenting the juice, cidermakers practice “tirage” (the addition of yeast and sugar) to start a secondary fermentation in the bottle, which traps resulting carbon dioxide to produce frothy little bubbles and a distinctively creamy mouthfeel that comes from contact with the lees (dead yeast) in the bottle. Additionally in the Champagne method, after aging, the lees are “disgorged” (removed) for clarity and bottles are topped off with juice or a “dosage” (a mixture of sugar and juice) to balance the acidity. Eve’s Cidery, an organic orchard in Van Etten, New York, exemplifies this approach because this is the only method they use to make their sparkling cider. 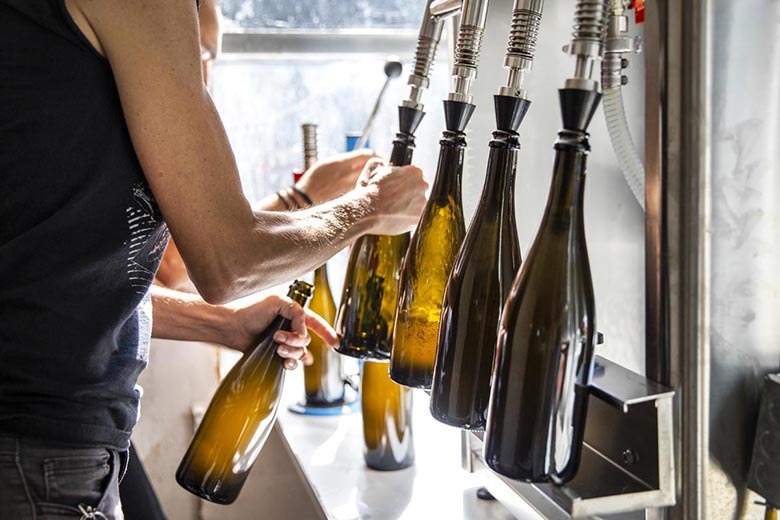 They even go as far as to disgorge each bottle by hand instead of using a machine. 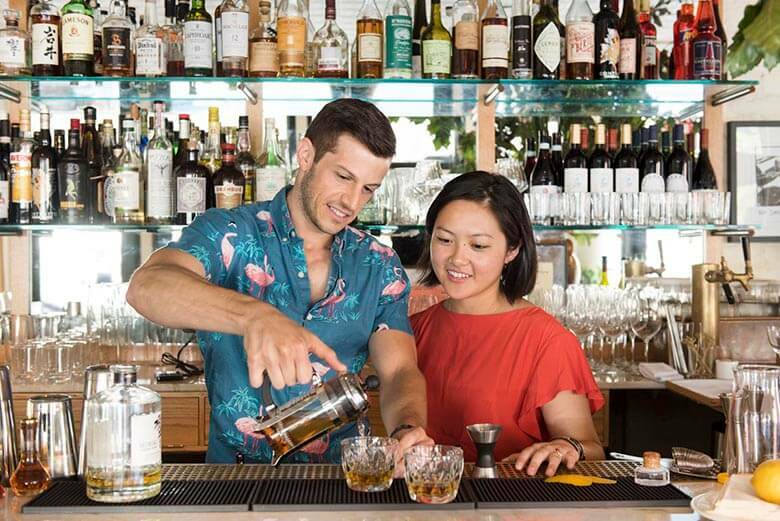 Their Darling Creek 2015 is a semi-dry cider made with a blend of wild apples and classic English bittersweets (a class of apple varieties prized for high tannin and high sugar) with poetic English names like Bramley’s Seedling, Somerset Redstreak, Ellis Bitter, Wickson and Harry Masters Jersey. The final product has wonderful structure and a complex fruity aroma that they describe as “apple blossoms, marzipan, cream soda and tamari.” For those who want a drier style closer to brut Champagne, their Northern Spy 2015 is a bone-dry single varietal (meaning not a blend) full of racy acidity that comes from the eponymously named apple, which was first discovered in upstate New York. Another small upstate family-run and sustainably managed orchard making exceptional ciders near the Finger Lakes is Redbyrd. 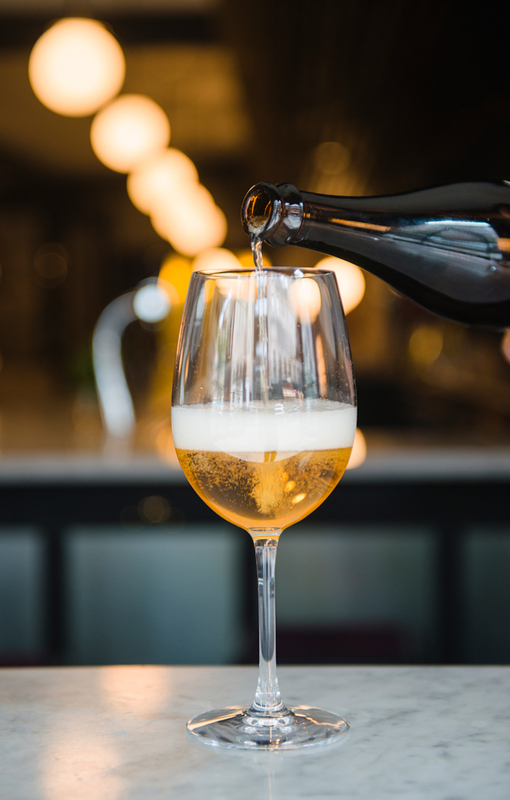 Their fermentations reflect their extensive experience in winemaking and grape growing, and they use a variety of methods to make sparkling ciders. 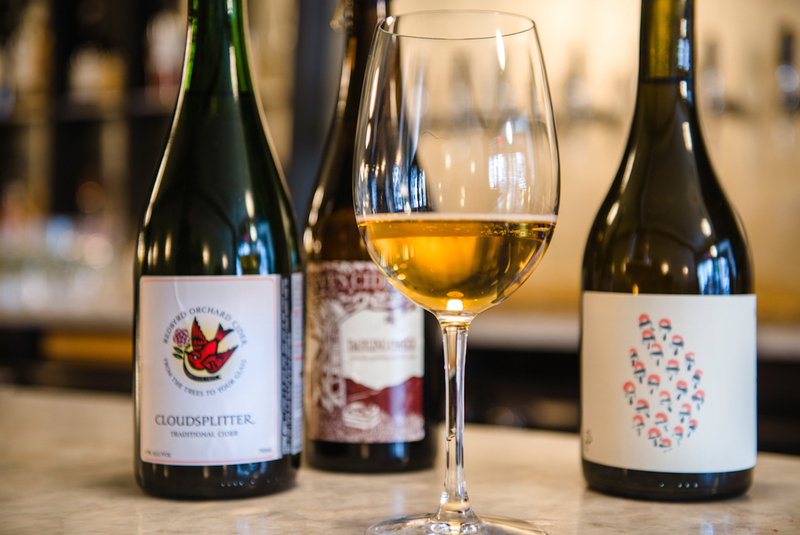 Although the label says otherwise (they had already been printed) their Cloudsplitter 2015 uses the Champagne method with estate-grown bittersharp and sharp apples (a class of apple varieties prized for high tannin and high acid) from their two hillside orchard sites. 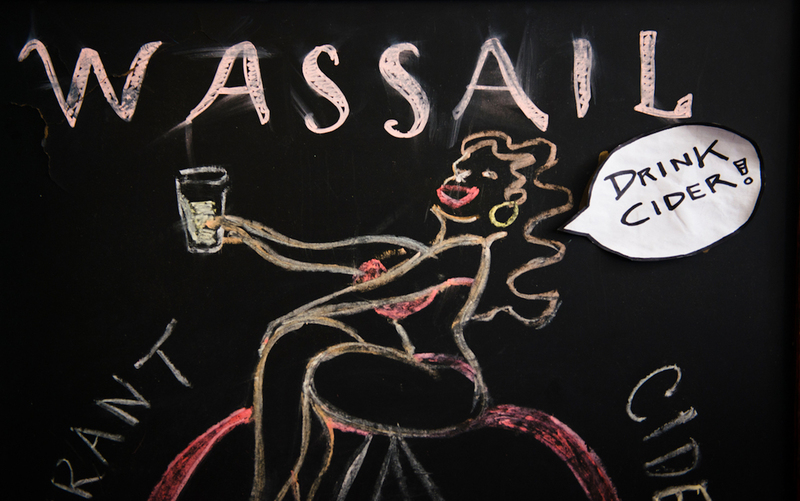 These apples have swoon-worthy names like Muscadet de Bernay, Karmijn de Sonnaville and Nehou. They also incorporate foraged fruit of wild seedling trees that they deem worthy enough to propagate and name, including Gnarled Chapman and Barn Hill Sharp. The result is a totally dry, crisp cider with racy little bubbles, lively acidity and a nuttiness that’s characteristic of aging on the lees that will make you want to keep topping off your glass. Another wonderful Champagne-like New York State cider from the Hudson Valley is Orchard Hill Cider Mill’s Gold Label Hard Cider 2015. It’s also made with the Champagne method and is a blend of Soons Orchard’s best heritage apple varieties, like Jonagold, Esopus Spitzenburg and Newtown Pippin. It is a semi-sweet and elegant cider full of frothy little bubbles and a rich, toasty aroma. This next cider is not vinified in the Champagne style but produced in what the cidermaker calls the “rural method.” New Hudson Valley–based Sundström Cider’s Hudson Valley 2015 is a blend of Northern Spy, wild Columbia County–foraged apples and bittersweet varieties like Somerset Redstreak, Harry Masters Jersey and Binet Rouge. The juice begins with a spontaneous primary fermentation, and like the Champagne method, is followed by a secondary fermentation in bottle. However, rather than disgorge the lees, this method leaves them in the bottle to allow for continued evolution, which leaves more sediment. The result is a dry and balanced cider with savory tannins and a round, orange-oil-like acidity. It also has fine bubbles that give it a classic Champagne-like quality. For those who enjoy a bubbly on the sweeter end of the scale, Slyboro Cider House—sited on the oldest u-pick orchard in the state in Washington County—makes La Sainte Terre from a blend of Golden Russet, slightly overripe McIntosh and a selection of English bittersweets like Yarlington Mill, Dabinett and Chisel Jersey. After blending the juice, they add some of their Ice Harvest cider to kick up the natural sweetness and alcohol content, giving this cider an ambrosial nose with notes of pear, melon and baked apple.